Can we learn anything by pretending? 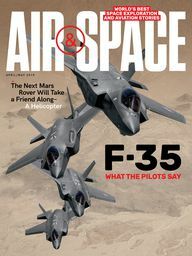 “This is as close to flying an actual space mission as you can probably get without being an astronaut,” says Ron Franco, an American Airlines pilot and a retired U.S. Air Force colonel. In 2016, he volunteered for NASA’s Human Exploration Research Analog as part of a four-person, 30-day, simulated mission to the asteroid Geographos. HERA, which operates in a hangar at the Johnson Space Center in Houston, goes to great lengths to make the mission as realistic as possible; the project’s goal is to research what humans will need to handle long-duration space exploration. The experience, according to Franco, was deeply immersive. “Although the main event was a rendezvous with Geographos,” he says, “the entire mission leading up to that rendezvous was very realistic training. We trained for EVAs [extra-vehicular activities] almost every day. When we actually rendezvoused with the asteroid, that was the highlight for the entire team. For me, it felt a little bit like the lunar module landing on the moon.” Throughout the mission, the crew dealt with the same inconveniences that astronauts on such a mission will have: infrequent showers, freeze-dried food, and a five-minute lag in communications with mission control that simulated the distance to Geographos, which orbits the sun three million miles from Earth. 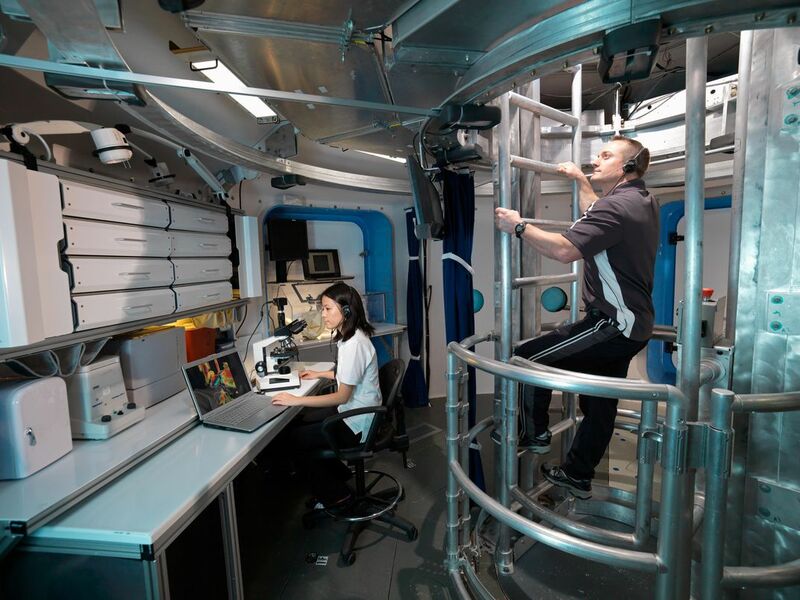 One of the experiments the HERA crew participated in, run by Namni Goel of the University of Pennsylvania, looked at how sleep loss affects astronauts, a key issue for long-duration spaceflight, during which small, highly stressed crews may frequently be sleep-deprived. The experiment, conducted for two years over several HERA missions, involves having the crew members repeatedly test themselves for stress indicators, using everything from blood samples to questionnaires, to create a profile over time. She hopes that her data can help predict, before they go on a mission, how astronauts will react to sleep deprivation once in space, and give them the tools to deal with that stress. 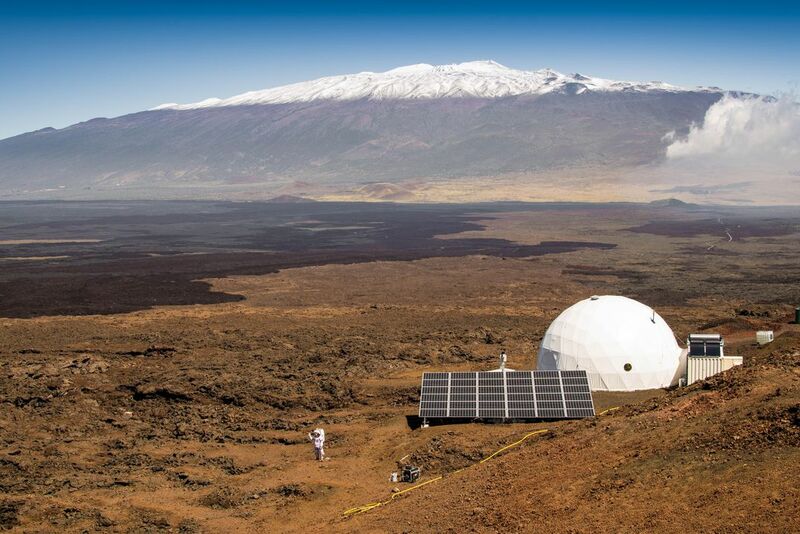 In the Pacific, a newer group runs the Hawaii Space Exploration Analog and Simulation, or HI-SEAS, a NASA-funded, University of Hawaii-operated facility nestled in the lava fields on the slopes of Mauna Loa. At HI-SEAS, the pseudo-astronauts go on a simulated mission to Mars. 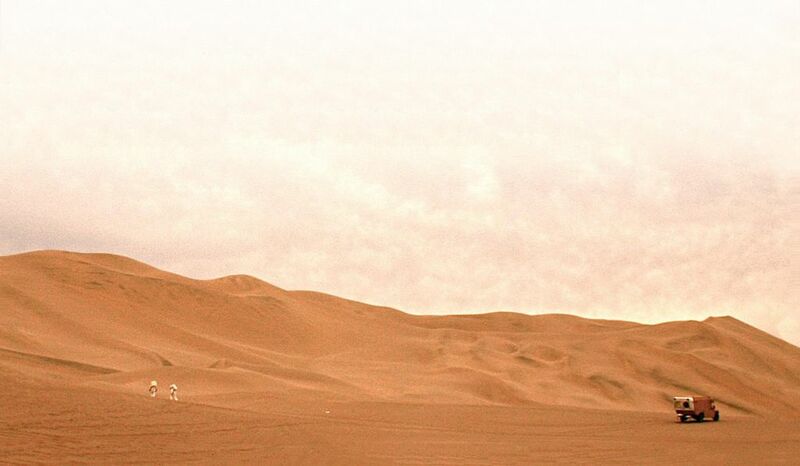 One thing that sets this mission apart is the setting—its rugged, remote location enables crew members to simulate EVAs on a Martian-like landscape. And while HERA missions now last 45 days (up from the 30-day mission that Ron Franco volunteered for), last year HI-SEAS completed its first one-year mission. Carmel Johnston is a soil scientist from Montana who served as crew commander for the 2016 mission. “The best part was getting to do a lot of the same research tasks that astronauts will be doing on Mars,” he says. “Mission control would say ‘We need you to find out more about this’ or ‘Find out if this is a safe place, or should we be exploring another region,’ just like they’ll be doing on Mars. 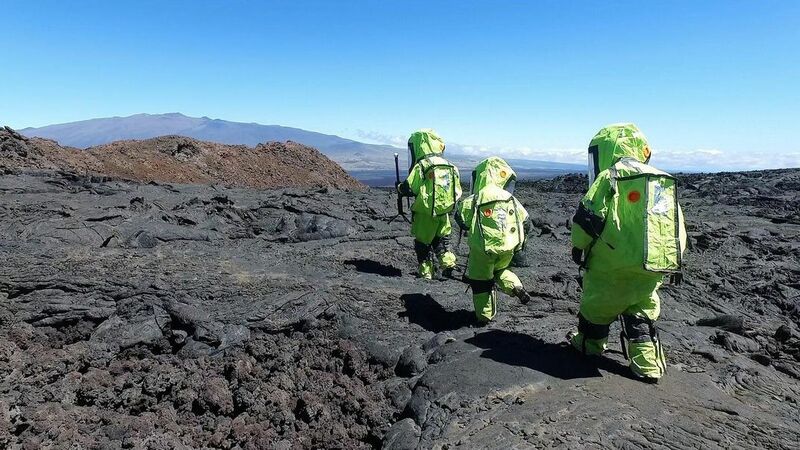 Getting to wear the spacesuits outside and explore lava tubes on this barren landscape—it was all so new to us and so exciting every time we went outside.” They practiced the habits required for extended-duration space travel, like water rationing. “We would wash three weeks of clothes with one gallon of water,” says Johnston. The mission also mimicked the real 40-minute total delay in sending a message to mission control and waiting for a response. Some recent research done at HI-SEAS includes an experiment by Steve Kozlowski, a psychologist at Michigan State University, that tested a wearable electronic device that offered real-time feedback of team dynamics by monitoring crew members’ proximity to one another and the intensity of their interactions. 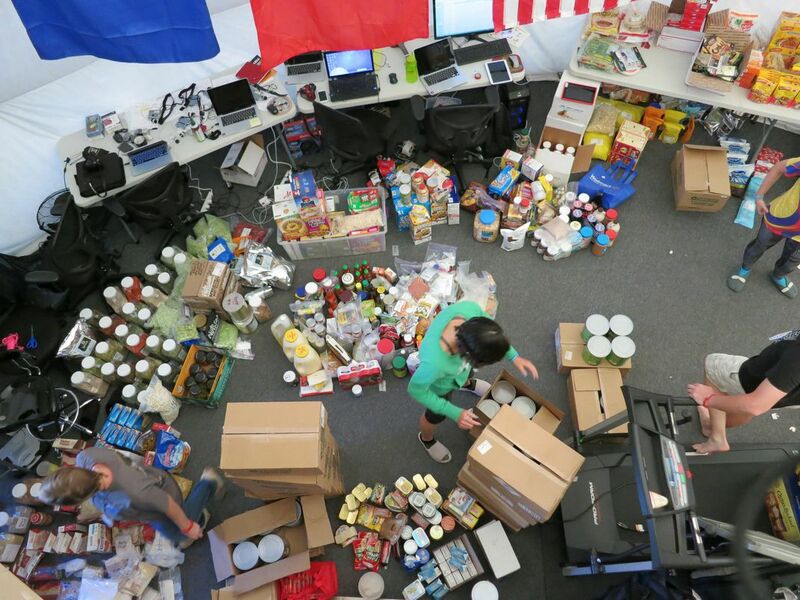 Peggy Wu, a scientist for tech consulting company SIFT, is working on a program that analyzes the crew’s word use and grammar to get a sense of their mental states. And Raphael Rose, a clinical psychologist at the University of California at Los Angeles, is working with the National Space Biomedical Research Institute to develop software that will help crew members treat their own psychological conditions like depression, anxiety, or stress. That’s a lot of data that has been analyzed and published—and it’s given Zubrin some strong opinions on what a future Mars mission needs. Foremost among them is that it would be a big mistake for astronauts to make the long voyage to Mars in a spacecraft without artificial gravity. That’s because the exploration that they’ll do once they get there isn’t going to be just lab work; it’s going to involve hard, physical labor. Spending six months in zero gravity will leave the astronauts physically weakened. “That’s not the right way to go to Mars,” says Zubrin. “And yet, the entire space medicine program…is about researching the health effects of zero gravity. They’re spending billions of dollars researching the wrong problem. 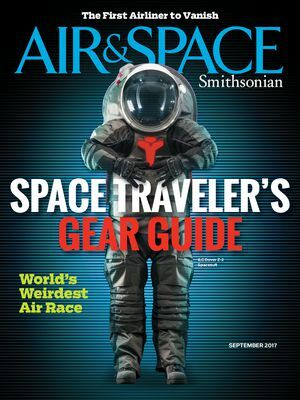 They should be looking into artificial gravity, which you can create by simply rotating the spacecraft.” Regardless of whether NASA is heeding any of the recommendations coming out of the Mars Society simulations, it’s worth noting that several of the staff and volunteers on taxpayer-funded missions got their start at either Mars Desert or Flashline. The earliest human spaceflight simulations were more interested in answering engineering and operational questions. NASA famously carted the Apollo astronauts to a variety of moon-like places—Arizona’s Meteor Crater and California’s Mojave desert among them—to check out equipment and rehearse some of the procedures the astronauts would use on lunar landings. 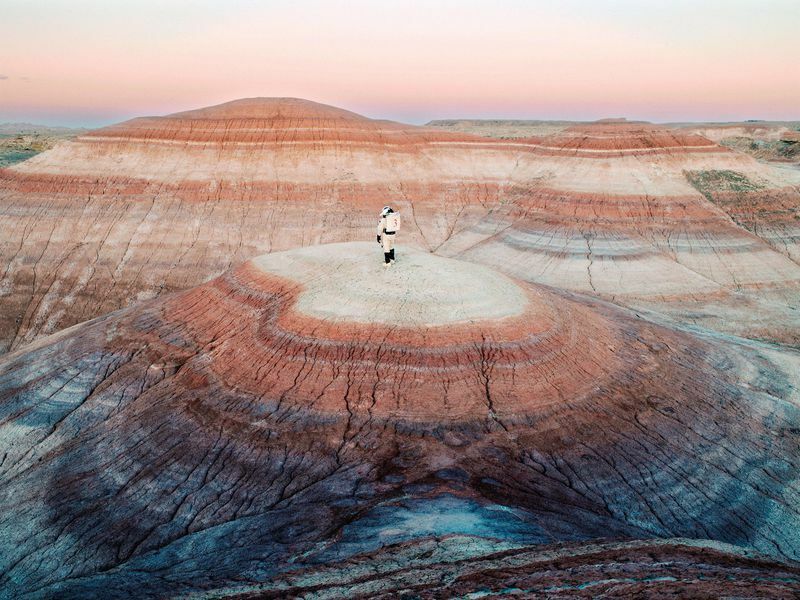 The modern iteration of these simulations took place at NASA’s Desert Research and Technology Studies, a recurring expedition to lava fields and deserts, usually near Flagstaff, Arizona. 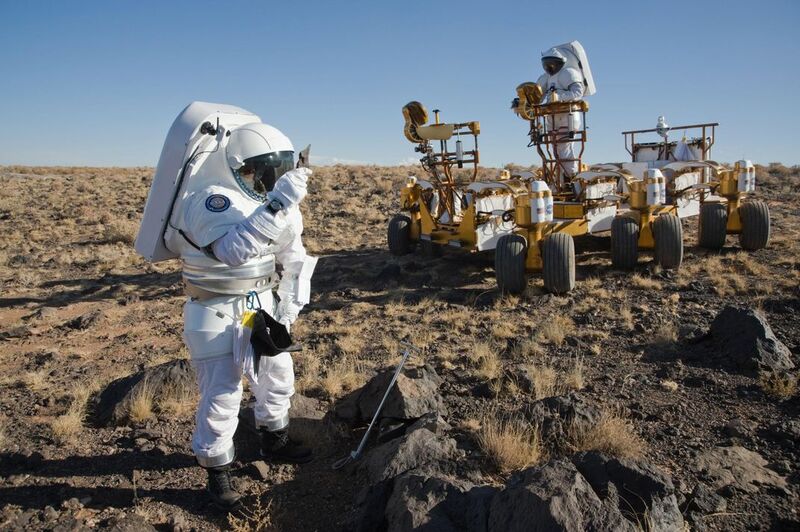 The brainchild of Joe Kosmo, a spacesuit expert who has worked on every NASA human spaceflight program going back to Mercury, Desert RATS started out as a way to test spacesuit technology in terrains that were similar to the moon or Mars. Dean Eppler, who retired from NASA last year, was Kosmo’s protégé and a founding member of Desert RATS. 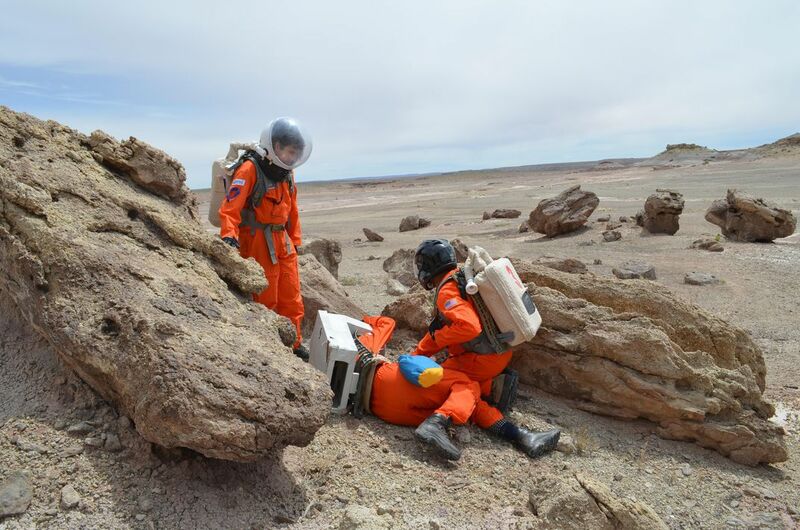 A geologist by training, he served on the simulation’s first crew, helping refine the design and working protocols for 200-pound spacesuits so future astronauts could wear them to do fieldwork on Mars, the moon, or an asteroid. After several years, he rose to manager of science operations and helped oversee the dramatic expansion of the program. This kind of simulation is qualitatively different from HERA or HI-SEAS. When the subjects of study are humans, that research is, for the most part, debated and validated in peer-reviewed journals. But for the kind of research done at Desert RATS, the proof is in the pudding. Either the equipment and procedures developed work, or they don’t. Either the rover has enough traction to drive over the mock lunar landscape, or it doesn’t. And yet, for all its success, the Desert RATS haven’t made the expedition to the Arizona desert for six years. Part of the reason is the sheer scale of the operation—it took most of the year to set up and analyze results, and then they had to start all over again—but it had also started reaching a point of diminishing returns, because the factors that still needed to be studied were getting prohibitively expensive or technically impossible to simulate in the field, like the microgravity on an asteroid. 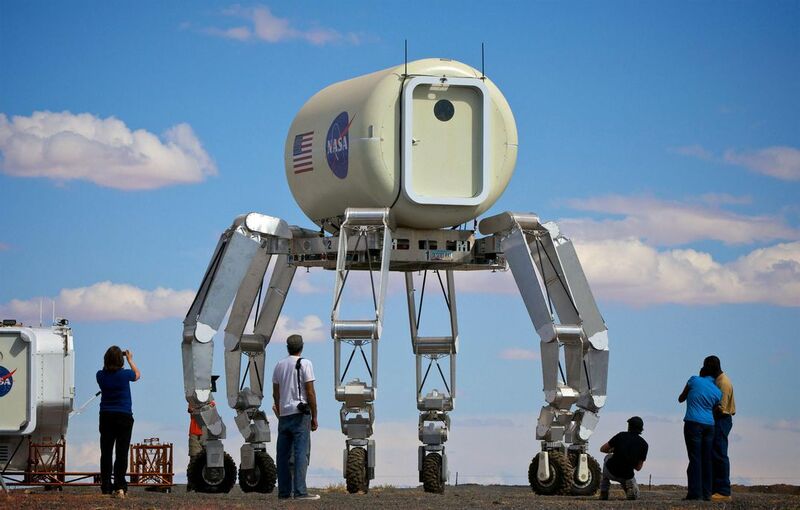 In 2012, the simulation was done almost completely through a virtual reality rig set up at Johnson Space Center, and they haven’t returned to the desert since. Back in the moon-like landscape of Hawaii, another simulation, run by the Pacific International Space Center for Exploration Studies, or PISCES, focuses on “in situ resource utilization”—researching the skills and technology required to use only what’s available in the environment to survive. It’s a key area of research if people are ever going to colonize Mars or the moon. Robert Kelso, the former director of PISCES, says, “When we did Apollo, back in the late 1960s and early 1970s, we brought everything we needed with us, and left everything there when we came back. The whole concept of going to the moon or Mars for settlement is completely different. It’s minimizing what you take, because everything you take is extremely expensive to launch into orbit.” One of the most important resources to study is water, says Kelso. Water exists on Mars and the moon as both ground ice and in more complex hydrogen-oxygen molecules. If astronauts can collect and distill it, that water can be used not only for drinking but also for breaking into constituents, which would power fuel cells and rockets. PISCES, however, was focused on a very specific question: Was it possible to use robots to turn the powdery basaltic material on the lunar surface into a solid landing pad? “The Apollo guys talked about this,” says Kelso. “If there’s anything in the line of sight—antennas, solar arrays, habitats, lunar cars, anything—it could just get obliterated by this mega-sandblaster.” The PISCES group succeeded in using a commercial kiln to melt the local rock into bricks that were stronger than concrete. Using robotic rovers, they arranged the bricks into a landing pad and compressed the surrounding surface with larger stones to contain flying debris. Mueller cites the Haughton-Mars Project, which, like the Flashline Mars Research Station, is on Devon Island in the Canadian Arctic. Devon is the largest uninhabited island in the world, a bitter landscape even during the height of summer. Scientists like Chris McKay of NASA’s Ames Research Center, a prominent researcher on the biology of extreme environments, used the island’s cold, dry climate to investigate what life on Mars might look like. Lee is similarly dismissive of Russia’s Mars-500 project, a simulation in which six volunteers were isolated in a mock habitat for almost a year and a half, about the duration of a real mission to Mars. But these volunteers didn’t face any real danger during their confinement. “Any crew can pretty much work out its problems under those circumstances, as long as you don’t talk religion or politics,” says Lee. Robert Zubrin of the Mars Society agrees that volunteers sitting around “playing chess” isn’t a very convincing simulation for astronauts on a dangerous mission to Mars. He also points out that with simulations that go on for years, it’s difficult to have multiple iterations, making it hard to draw meaningful conclusions. Nevertheless, it’s clear that to do human behavioral research for long-duration space exploration, there are some things you can find out only by using long-duration simulations. That’s why HI-SEAS, HERA, and even the Mars Society have gradually extended the duration of their own simulations. In fact, both HERA and HI-SEAS plan to collaborate with the Mars-500 facility in the future. The debate on the usefulness of the simulations will continue until someone with a rocket decides to prove it by sending astronauts to set up house on another planetary body. Then we’ll find out if these Earthbound missions have made long-distance exploration easier for the future first settlers, or if the real experience was always going to be too far outside our imaginations to simulate. Dennis Hollier is a science writer and incrementalist, trying to make sense of the world one story at a time.